1921. 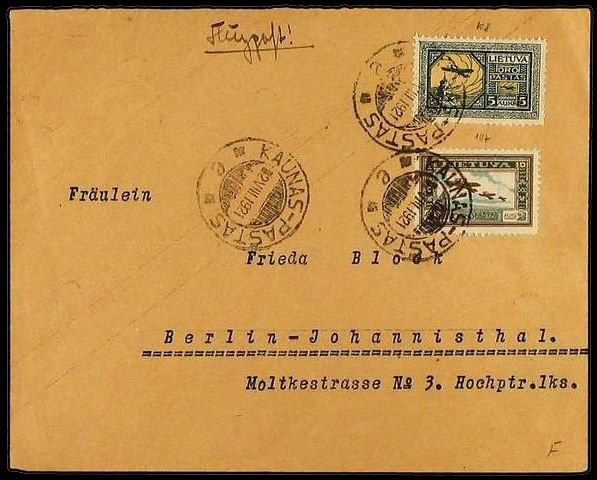 Airmail cover to BERLIN franked by 1921 Airmail 2 a. and 5 a. tied byKAUNAS-PASTAS cds´s in black. Sc C6,C7.